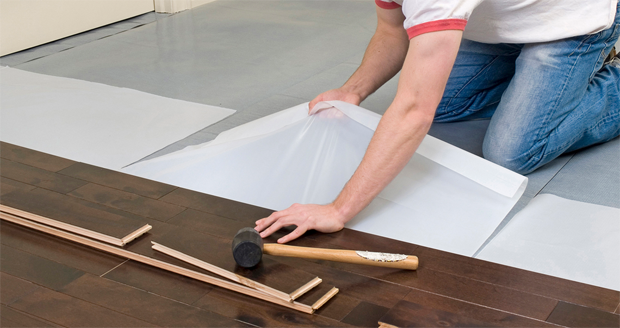 You can truly make a positive out of the negative situation of having to replace a damaged floor by installing brand new flooring in your home. Single Source offers a variety of hard and soft surface flooring options like carpet, laminate, hardwood and tile, each with their own set of shades, patterns, and sizes. Install beautiful faux-stone ceramic tile flooring to complete your kitchen renovation, or install elegant dark hardwood flooring to spruce up the living room. Or do the whole house including new bathroom flooring. Single Source delivers and installs the durable, high-quality flooring and installation services you need at affordable prices.